When the NVR registration request to become a domain member is accepted — the NVR Domain Controller imports and keeps up-to-date information about the remote (child) NVR cameras, that allows users to administer and control all cameras in the domain from a single interface. 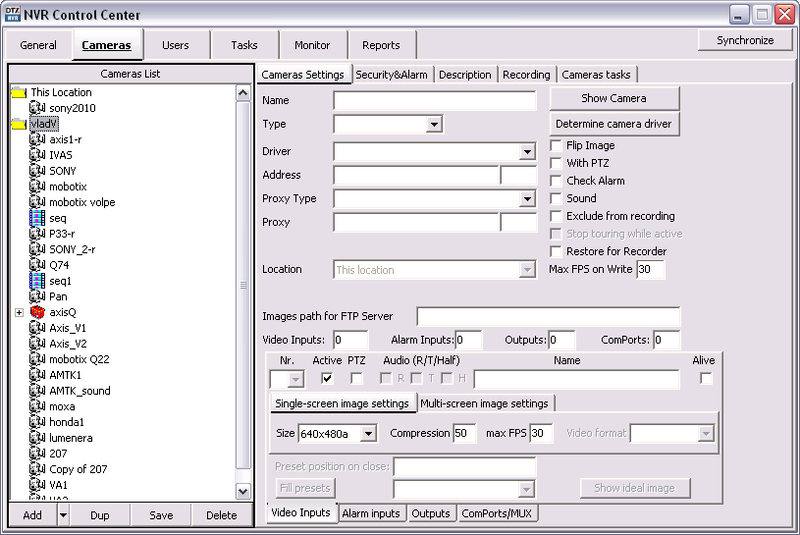 Any updates made in the cameras settings on the NVR Domain Controller will be automatically propagated to the child NVRs and vise versa. When you are ready for your changes to take effect, you should synchronize the services running on the NVR Domain Controller and the services running on the child NVR holding the updated cameras with the current configuration. For the detailed instructions, refer to the DETEXI NVR — Managing Cameras section of the manual. To synchronize the services running on the NVR Domain Controller with the current configuration click Synchronize button in the top right corner of the domain controller NVR Control Center . On the Controlling tab check if the necessary services are running and monitored. Click Synchronize Location button to activate the new configurations. If updates were made for the domain controller camera click Synchronize button in the top right corner to activate the new configurations.